Lets talk about our WA millipedes. I am sure we have all collectively breathed a sigh of relief now we have seen the sun finally show it’s face over the past few weeks. Although required, the amount of rain we have seen of late has been – quite frankly – depressing. But we can officially now say that SPRING HAS SPRUNG! So now’s the time to spray millipedes. 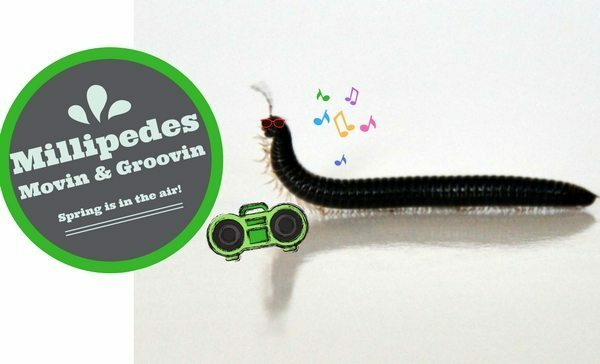 That being said this week we have been inundated with phone calls because once again those little millipedes have put on their dancing shoes and are taking up residence on our walls, verandahs & gardens. Ugh. Why Am I Seeing Them Now? We had such a dry Autumn this year that the millipede seasons was fairly short. They had a short flurry but because it had not rained they kept hidden in the soil – getting jiggy with it…. and multiplying. Now the soil has warmed up all those little tiny babies are ready to start coming out of the soil to party. Can’t I Just Nematode The Hell Out Of Them? No – unfortunately the millipedes are only susceptible to nematode attack during Autumn as this is when they moult. So the nematodes have to be shelved until next year. You can, however, go on the list for a nematode release for next autumn by heading over to our Nematode Page Here. 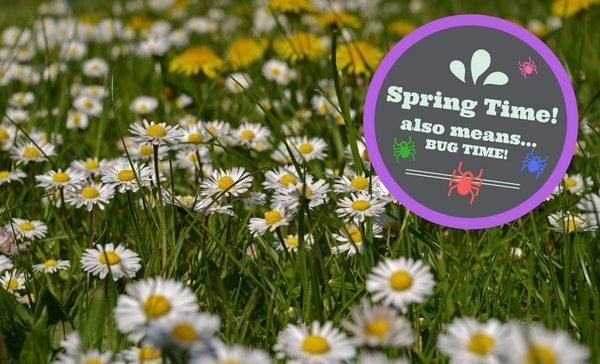 Spring is the perfect time to shake off the old cobwebs (literally) and get outside & spray millipedes. This is the time to get your house treated for WA millipedes with a general pest treatment. We can treat your home with a water based, odourless product that will keep these little critters away from your bright & shiny house. Not only will it get rid of our WA millipedes but as a bonus it will get rid of your spiders, cockroaches and other crawling insects for the entire spring/summer period. Pretty neat huh? For more information head on over our Millipede Barrier Here. I Don’t Want To Spray Millipedes – Am I Doomed? Absolutely not! We do have a sneaky little millipede light trap that will at least give you some immediate relief and get those guys movin & groovin away from your doors and entry ways. And the best part? No chemicals at all! 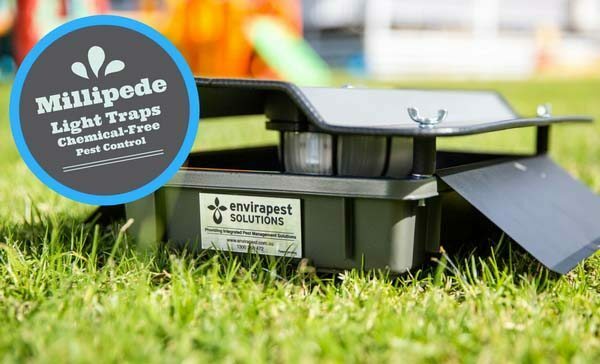 You can find our more about our Millipede Light Traps Here. PSSST – We even have some factory seconds going cheap cheap if you don’t mind a little tiny scratch in the paint work! Remember peeps – a millipedes best friend is your back porch light. While these guys are movin & shakin keep your outside lights turned off – or only on when you need them. Don’t make your house attractive – plus save a few $$ on the old Western Power bill to! Go On... Clickity... Click... Click... Click.